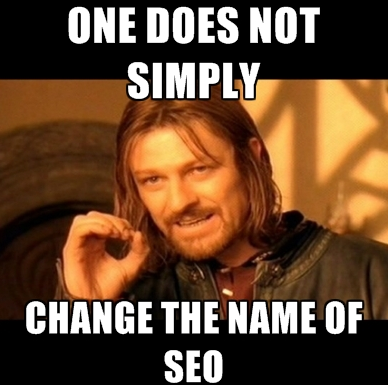 The name of the game is SEO and that’s no going to change. Just like any other game the players and teams evolve but the name never changes. SEO is a very complex process and it is not recommended for everyone. Too many “companies” are not delivering results, tarnishing the reputation of quality SEO professionals. The issue lies within the lies. Many SEO’s are not honest with their prospects, and use spam methods. Lets start by looking at where SEO takes place, Google, Bing, and Yahoo all “Search Engines” they are not “Inbound Marketing Engines”, “Agile Marketing Engines”. The term SEO is a category not a brand. Do categories ever change? No they don’t, once a category always a category. Same as for brands, however brands can re-brand. Anyone ever hear of a category re-categorizing itself? Probably not… Unfortunately the rabbit whole is to deep to change the SEO category name. The bigger something becomes the more people will be attracted to it. Sadly most of the people drawn think it’s “easy” and will try to get a piece of the cake by any means necessary. Anyone with a computer, who reads an introduction to SEO article, thinks they are ready to offer the service. Many of these “experts” have done a lot of damage. However, it’s not to late, and within Google + there are enough of us social media influencers, SEO educators, inbound marketing experts, analytic professionals, and ethical marketers to stop bad SEO. With our blogs, social media networks, communities and newsletters we can make that change today! 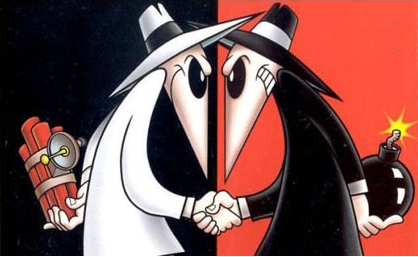 The idea is simple; If you find a website spamming or using black hat tactics let the business/company with the site and Google know. Once the site is reported, we can send a list of recommendations to the business/company to fix their site. Within our email we will let them know that they have been reported and we recommend following the procedure to recover. Step #1 fire the SEO or agency that got you in this mess. Step #2 fix the problem. Most social media platforms and search engines has a report option, use it. We can also create a Google + community and circle where members discuss spamming sites and report them together. 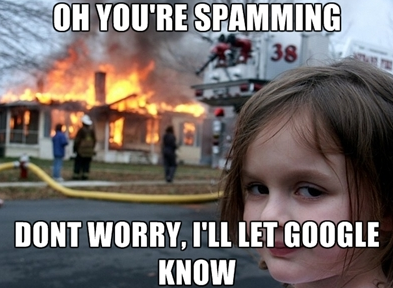 Enough complaints about spam to a SERP will get a site in the trouble it has earned. Google wants us to do this: http://insidesearch.blogspot.com/2012/08/an-update-to-our-search-algorithms.html, the point of this was to clean up the SERP’s. Well if you do any SEO, I am sure you come across a ton of unnatural backlinks and messed up SERP’s. Lets stop this once and for all! With everyone in the SEO world, we can come up with an efficient outreach email for SEO’s that don’t know what they are doing and spammers. Lets help show them what they should be doing and report what they have done. The outcome of this will be: cleaner search engines, a better SEO name, and less reason to spam or manipulate the SERP’s. What are your thoughts? This entry was posted in SEO and tagged Black hat, google, link building, online marketing, seo experts, SERPs, spamming search engines by Donnie Strompf. Bookmark the permalink.